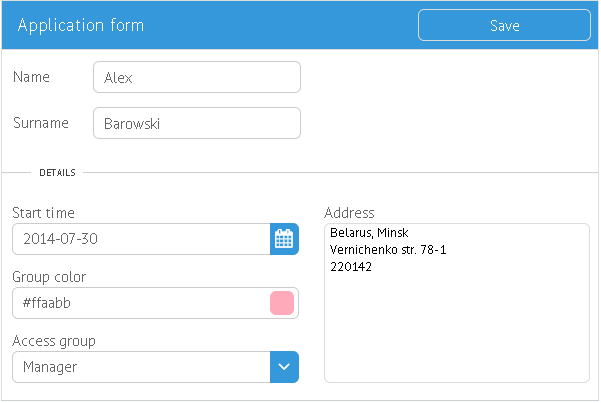 Webix delivers a variety of controls that can be placed in the form. These controls can be used for entering text, selecting an option, date or color, switching between multiview cells, etc. calendar - a date selector for DatePicker. For further details check the Controls Guide article.